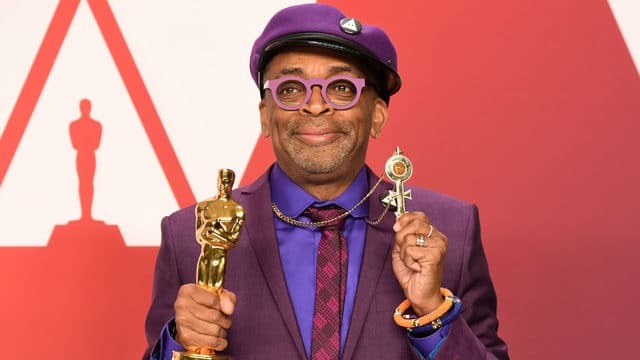 Spike Lee just won his first Oscar on Sunday night. The filmmaker took an Oscar home in the Writing (Adapted Screenplay) category for “BlacKkKlansman”. Spike Lee was also nominated for direction and paid gratitude to his grandmother for getting him through college and graduate film school. Spike Lee also urged people to start getting involved in the forthcoming 2020 Presidential Elections. Spike Lee jumped on Samuel L. Jackson before accepting the award, giving him a warm hug. BlacKkKlansman was nominated in many categories including Best Film Editing, Best Picture, Music, and best supporting actor (Adam Driver). The film sees a black cop named Ron Stallworth, who infiltrated the Ku Klux Klan in the 70s. Zimmerman, played by Driver is a white Jewish cop who helps Stallworth infiltrate the racist organisation by going undercover and going as a Klan member. Many people across the globe reacted on Spike Lee winning his first Oscar.